Tereza Skuhrová is well-known in between Czech triathletes. During the summer season, she often manages to compete on several races during one weekend. She didn’t miss CHALLENGETRY-ATHLON not even once and even accomplished podium ranking each time! She is therefore well-deserved the face of the race. Are we going to see her on the start line this year again? You haven’t missed a single edition of the race, are we going to see you this year again? Yes, you will. I participated in the race every year and I am not going to miss this one either. I really like the course and I would recommend the race to anyone. You have competed several times in CHALLENGETRY-ATHLON. Are you planning on MIDDLE? I will stay on the short distances for this year but I am not saying that I will never do MIDDLE. However, my studies and my work keeps me busy and I don’t have enough of time to prepare myself properly for such long distances. You were member of junior national team, what is your biggest achievement in triathlon so far? It’s difficult to pick up only one result that I value the most. 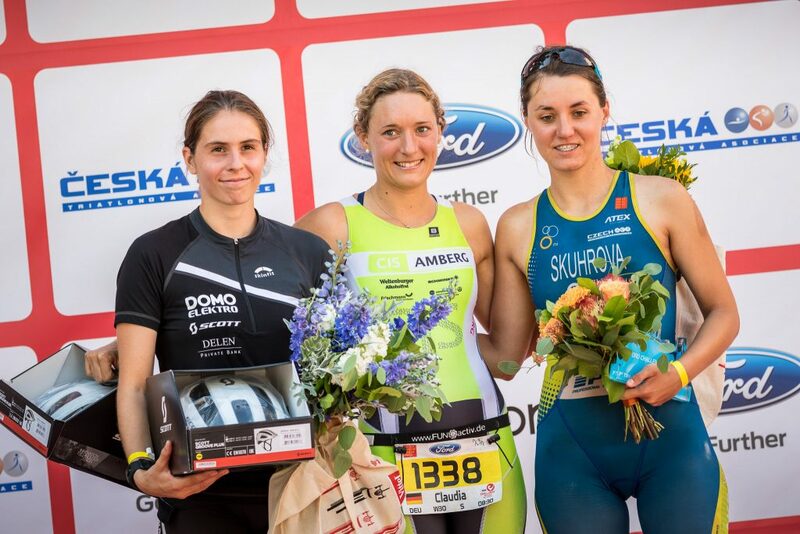 I am really proud to be consistently ranking on podium positions in the Czech series and Czech nationals in olympic triathlon, aquathlon and duathlon. First, I was doing only swimming, I was focusing on long-distances. When I started high school, I was combining swimming with triathlon, in which I saw new sport challenges. What are you other plans for the season? I want to compete in as many races as I can. I am graduating this year and I have to write my thesis so sport is just a stress relieving tool for me right now. One of my main goal is CHALLENGETRY-ATHLON. I hope, I will be fully ready for the race. Do you have any other hobbies besides triathlon? I don’t have much of time for any hobbies at this time. My work and studies keep me busy and if I have any time left, I do sport. I really hope it will change once I am finished with my university degree. 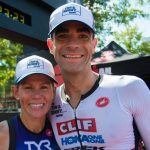 Your partner Fanda Schoval and you are well-known triathlon couple in the Czech republic. Do you train together? Yes, we try to train together as much as it is possible. We go running together, if we have the time we bike (mostly on training camps). We don’t swim together much, we are both member of different training groups. We just came back from training camp in Mallorca where we could train all three disciplines together. When it comes to racing, we do almost all of them together. We wouldn’t even enjoy triathlon apart anymore! How much time your training takes? Do you have any time left? 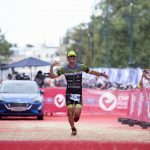 Fanda is doing triathlon full time, he is a coach and he does other things within triathlon as well. I don’t train that much at this time due to my work and school. If we have any free time, we like to go out, to theatre or restaurant. However, the best relax is when we are both home and we can chill watching a good movie.